Enjoy the Boardwalk, Beach, Shopping and More! Atlantic City trips include accommodations at a hotel & casino on the Historic Atlantic City Boardwalk, steps from the beach! Seneca Allegany Casino and Hotel is home to one of the most impressive hotels in Western New York, awarded AAA Four Diamond certification for every year since 2005. Accommodations at the Casino! Free shuttles available for area attractions! 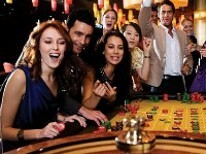 Seneca Niagara features 82,000 square feet of gaming space with 2,595 slot machines and 91 table games. Two Days, Three Casinos with Three Bonuses. Includes time at the Meadows Casino and Wheeling Island Casino. Overnight at Mountaineer Casino and Racetrack Resort. 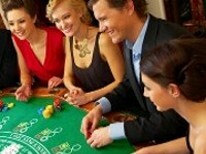 *Casino Bonus is compliments of the casino and is subject to change, with or without notice. Rate shown is per person based on double occupancy. Rates include a 5% discount for check or cash payment, discount would not apply should you choose to pay with a credit card.